I always enjoy checking out the Purple Martin houses behind a home on Sauvie Island. These large swallows are one of the more popular yard birds in the eastern U.S. , but the species is much less common in the West. This site on Sauvie Island is one of the few places in the Portland area to find them. Here a female is putting nesting material into a martin house. 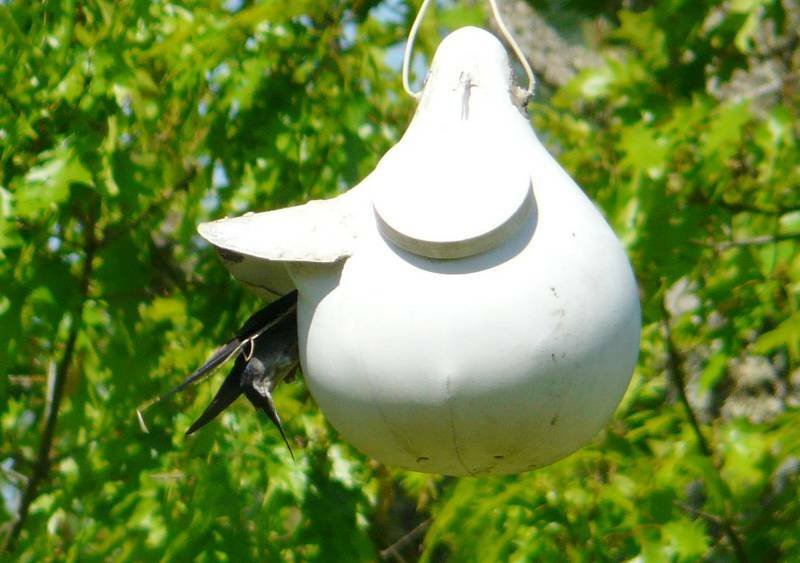 The “natural” nesting habitat for Purple Martins is a cavity, usually an old woodpecker hole. But for the past two centuries, most of the population has chosen to nest in man-made structures. 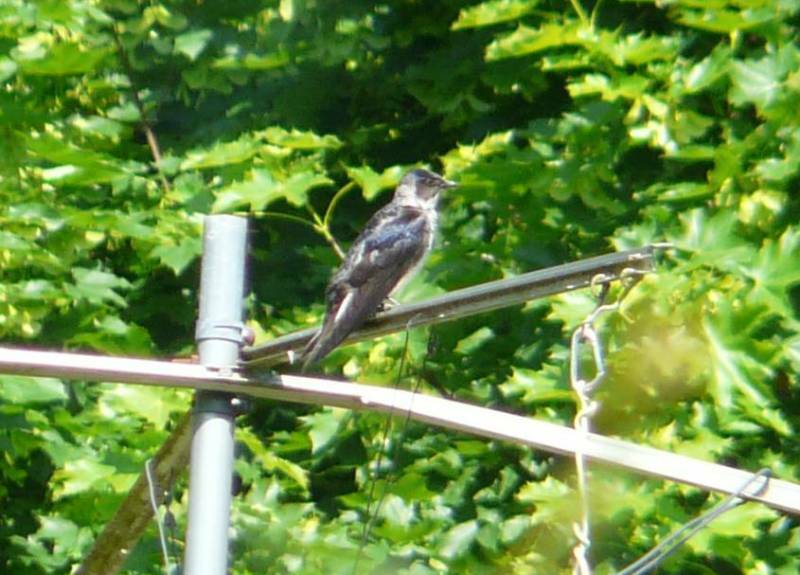 This entry was posted in behavior, nesting and tagged Purple Martin, Sauvie Island. Bookmark the permalink. Is that first photo a decoy? While on Birdathon we thought we saw one perched on the stand and when we scoped it we discovered it was a decoy. I guess it attraches martins? Silly birders, we thought it was real! No, that is a real bird. A shame that folks don’t put up houses for them much anymore. I recently read that purple martin populations are only 10% of what they were before the introduction of the Starling and English House Sparrow.